On the 5th of June, IMS will give a presentation at this seminar. The Fraunhofer Optical seminar conveys practical fundamentals and solutions for the assembly of optical systems and covers the critical process steps such as passive and active alignment, handling and manipulation, dispensing and curing. Furthermore, the design of optical systems and the machine concepts will be addressed. 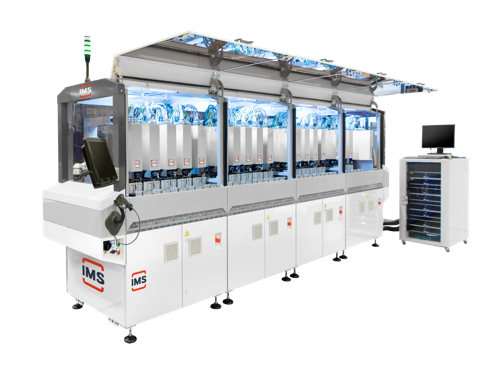 Gerard Brok, Technical Sales Coordinator at IMS, will give a presentation on 'Flexible mass production of assembled optical components'. We'd like to welcome you at the event in Aachen! In this presentation, you will see and learn how to take the steps from concept to mass production of assembled optical components. Do you want to apply for this optical seminar? Please use the Fraunhofer online-registration form.